American-grown ag products. American-made autos. Biodiesel and liquid bulks. This diverse list of cargoes shipped in record volumes through the Port of Grays Harbor on Washington’s Pacific Coast. Increasing log exports and roll-on/roll-off cargoes combined with short sea shipments from Mexico resulted in 102 ship calls in 2013 to the Port’s marine terminals, a far cry from the 8 ships that called Grays Harbor ten years ago in 2003. Arriving by rail, more than 87,000 Chrysler automobiles were processed for export by Pasha Automotive Services last year, a 23% increase over 2012. Pasha Automotive Services completed construction of their $3.5 million processing facility in August 2013. Pasha Stevedoring and Terminals also handled a record 13,609 metric tons of over-high, over-wide equipment for export. Export logs also hit a 15-year high for a combined total of 52.9 million board feet being shipped by customers Alcan and Dkoram. During its first full year of operation, the AGP Storage and Export Facility saw a record amount of ag products exported through the facility. In 2013, over 1.3 million metric tons of soybeans, soybean meal, beet pulp pellets and DDGS were exported to Pacific Rim markets. Imperium Grays Harbor and Westway Terminals shipped a record amount of liquid bulks through the Port, creating jobs on the docks to complement the steady employment within their respective facilities. While the numbers are exciting, Deputy Executive Director Leonard Barnes reminds everyone that the Port’s berth utilization rate is still well below where it could be and there is still plenty of room to grow. “2013 was a great year for all of our shipping partners,” Barnes reported. “Grays Harbor is regaining our position as a major export, and import hub for North America and we have plenty of space and berth availability to meet demand as we continue to grow. We fully expect to see records set again in the years to come. We look forward to more vessel calls and expanding the diversity of cargoes we handle here at the Port of Grays Harbor to help create jobs throughout the community”. Strategically located midway between Seattle and Portland and less than 1 ½ hours from open sea, the Port of Grays Harbor provides businesses a diverse portfolio of facilities. Founded in 1911, the Port of Grays Harbor is one of Washington State’s oldest port districts and Washington’s only deep-water port located directly on the Pacific Ocean. 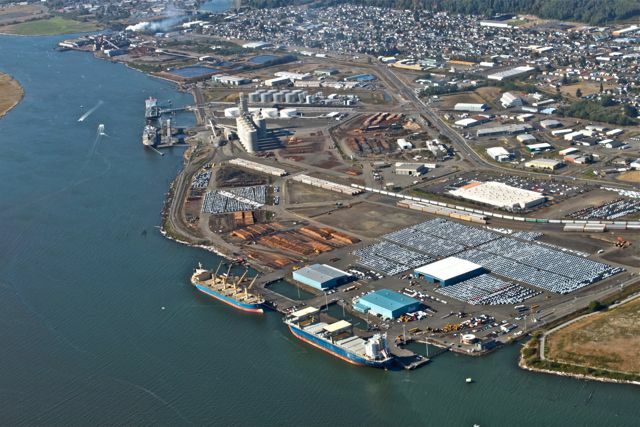 The Port of Grays Harbor operates four deep-water marine terminals, the Westport Marina, Bowerman Airport and numerous industrial and business parks throughout the region. The addition of Satsop Business Park increased the Port’s properties to more than 1,000 acres of industrial properties and an additional 1,300 acres of sustainably managed forestland. 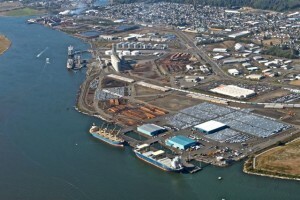 More information on the Port of Grays Harbor’s facilities and operations is available at portofgraysharbor.com.